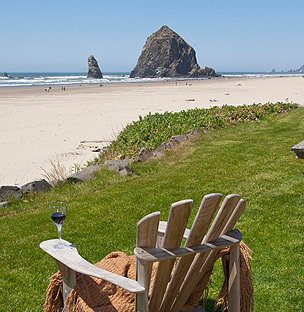 The quintessential Cannon Beach vacation awaits you. 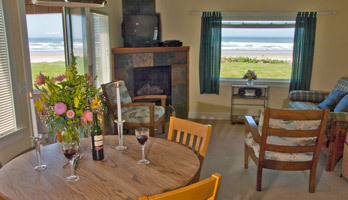 Located on our Sea Sprite at Haystack Rock property you will have the best of both worlds while staying in the Sea Breeze cottage. 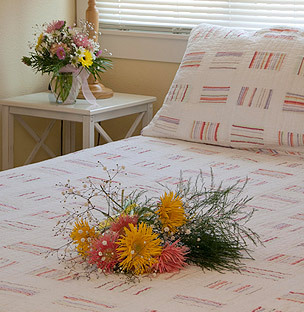 Enjoy the privacy of your own oceanfront beach cottage while also having daily housekeeping and onsite management to help you make the most of your time with family and friends. 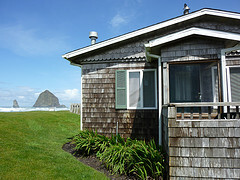 The Sea Breeze cottage offers panoramic views of the Oregon coastline and Haystack Rock. This cottage features a gas fireplace and fully equipped kitchen. With views from every room, you're sure to enjoy soaking up the amazing scenery with family and friends in front of the gas fireplace or around the large kitchen table.